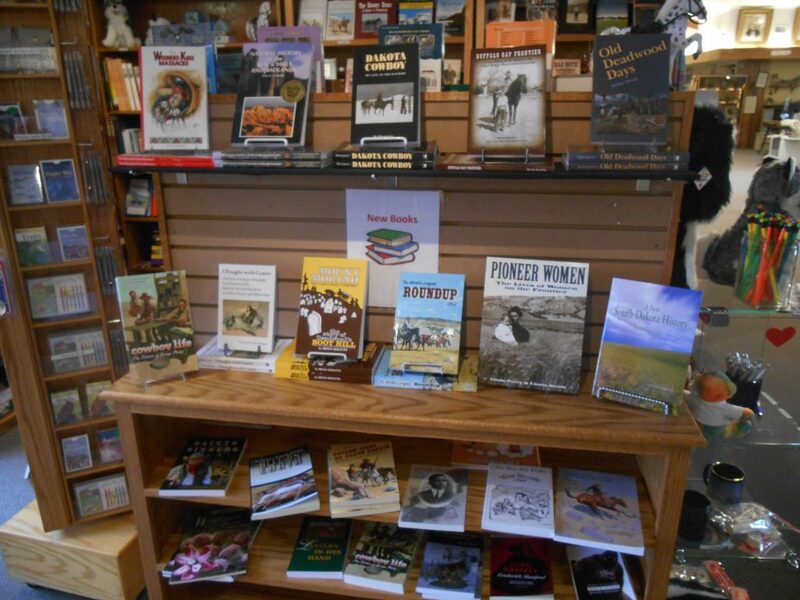 Our store manager, Lou, always keeps us stocked with the best historical writings about our area, and local authors are prevalent on our shelves. There are so many tempting titles, but I’ll whet your appetite with just three for now. I haven’t read them yet, but they are in my To-Be-Read stack. 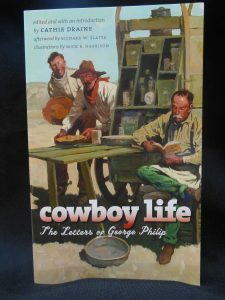 Cowboy Life: the Letters of George Philip edited by Cathie Draine and illustrations by Mick Harrison. Generously sprinkled with illustrations by Belle Fourche’s own Mick Harrison, is it any wonder that I feel the need to make time to read this book? 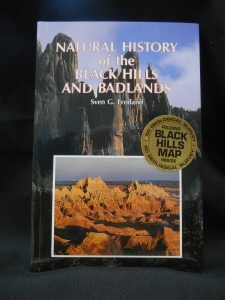 Natural History of the Black Hills and Badlands by Sven G. Froiland. The book is divided into three parts—geological, historical and biological. What does that mean? Geological: Maps! There is even a full color fold-out Geologic Map of the Black Hills in the back of the book. In my opinion, maps speak of adventure from the first look. There are also discussions of the formations of the Black Hills, climate, and the soil and water. Historical: Included are early explorations by trappers, Lewis and Clark, and various military expeditions. A large segment is devoted to Native American history. Mount Moriah: “Kill a Man—Start a Cemetery” by Helen Rezatto. 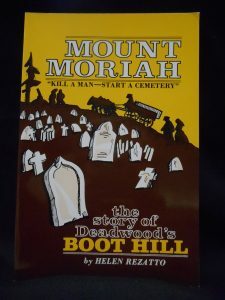 After moving to Deadwood in 1976, the author’s curiosity was piqued about the inhabitants of Boot Hill who were not as famous as Wild Bill Hickok and Calamity Jane. She started out gathering information for a pamphlet about Mount Moriah, but soon had so many interesting stories that her pamphlet expanded into a book. Extensively researched and filled with historical photographs, Ms. Rezatto’s book will be a must-read before my next trip to Deadwood. 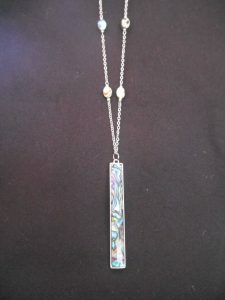 Check out our clearance shelf as well. Books start at $1. 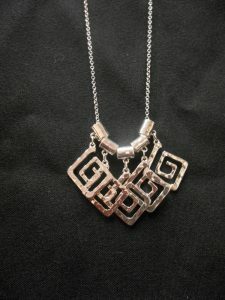 Also in the Gift Shop, we have a new jewelry collection by Trisha Waldron. 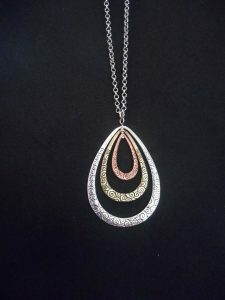 Just a reminder: Friends of the Museum receive 20% off their purchases!